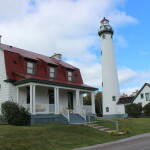 This beacon on Lake Huron is one of the oldest remaining in Michigan, with its history dating back to the 1840s. 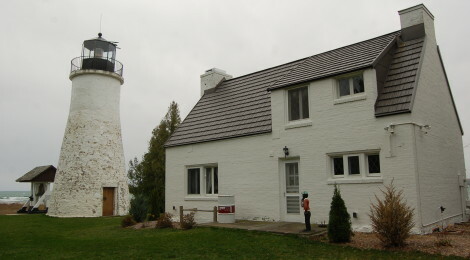 The white brick tower stands just 38 feet tall and was replaced with a newer lighthouse down the road just a few decades after its construction, but now it is open as a museum that gives visitors the ability to tour the keeper’s dwelling and climb the tower. An added feature here is the legend that this light is haunted by former keeper George Parris, with accounts of ghostly happenings well-detailed on the premises and in print over the years. 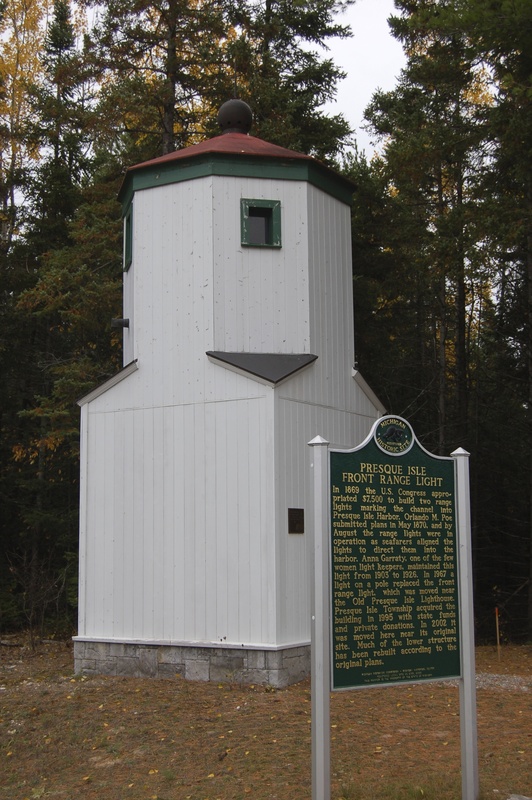 Located to the east of Grand Lake, this light kept watch over stretch of Lake Huron shore that leads to a small protected harbor. A short walking trail, a large bell and several statues are added attractions to the beautiful grounds. 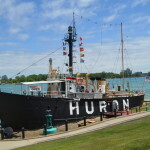 Presque Isle Harbor is one of Lake Huron’s safest harbors of refuge. Its name comes from the peninsula which, translating from the French, is “almost an Island.” Indians and Frenchmen portaged across the peninsula to avoid several miles of open lake. When vessels came to the harbor in increasing numbers, Congress in 1838 appropriated $5,000 for a lighthouse. Jeremiah Moors of Detroit in 1840 completed this lighthouse, which today is one of the oldest surviving lighthouses on the Great Lakes. 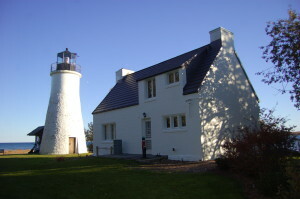 Pat Garrity, the last keeper of this lighthouse, was appointed by President Lincoln. 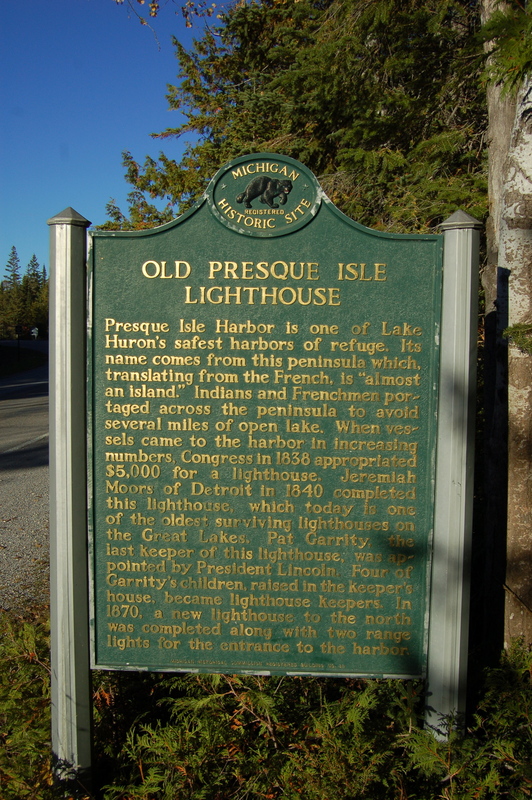 Four of Garrity’s children, raised in the keeper’s house, became lighthouse keepers. In 1870, a new lighthouse to the north was completed along with two range lights for the entrance to the harbor. 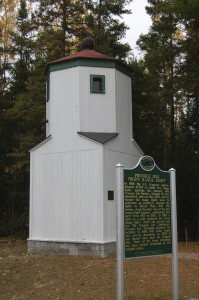 On the drive back to the Old and New Presque Isle lights, you will pass the former front range light, which similarly has a historic marker plaque detailing its significance. 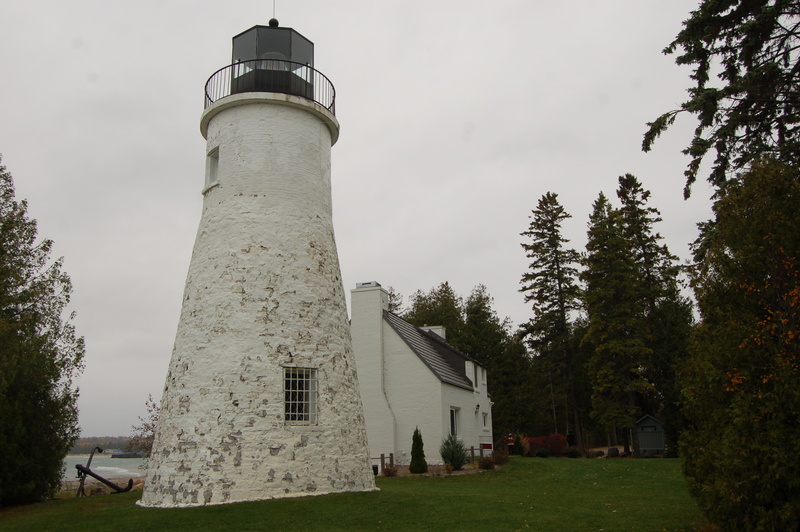 In 1869 the U.S. Congress appropriated $7,500 to build two range lights marking the channel into Presque Isle Harbor. Orlando M. Poe submitted plans in May 1870, and by August the range lights were in operation as seafarers aligned the lights to direct them into the harbor. 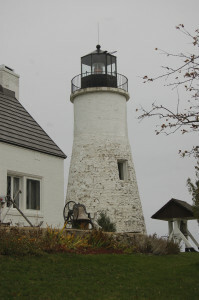 Anna Garraty, one of the few women light keepers, maintained this light from 1903 to 1926. In 1967 a light on a pole replaced the front range light, which was moved near the Old Presque Isle Lighthouse. Presque Isle Township acquired the building in 1995 with state funds and private donations. In 2002 it was moved here near its original site. Much of the lower structure has been rebuilt according to the original plans. From US-23 about 15 miles north of Rogers City, head east onto 638 Hwy. After about 2 miles the road splits, stay on 638. 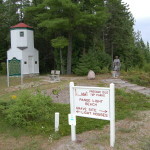 Another 2 miles brings up an intersection with Grand Lake Rd., take a left onto Grand Lake which will lead you to the lighthouse – route is well-signed and you will pass the front range light and the marker for Old Presque shortly before reaching the drive to the lighthouse, which is on the right. 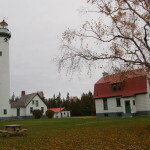 The New Presque Isle Lighthouse located a few miles north, also has its share of hauntings. One keeper’s wife, who was locked up and not allowed to leave, suffered from the severe isolation and went insane. Many claim to hear her when visiting the site.